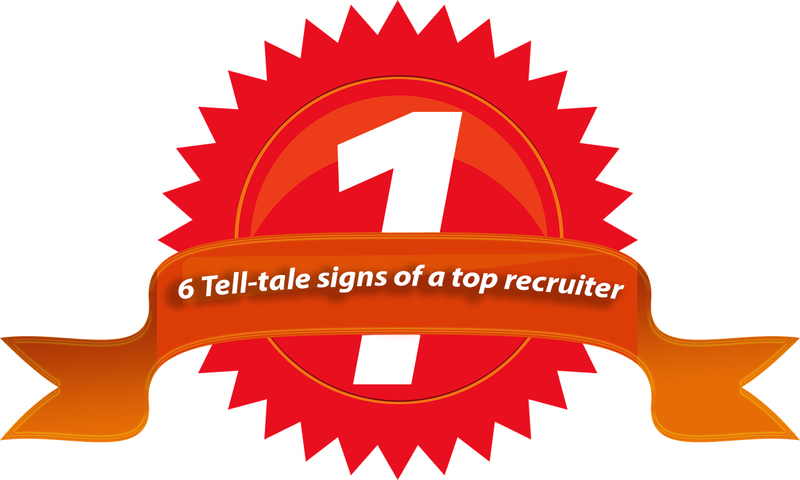 How do you know a good recruiter from a bad one? How can you ensure that you are working with the best and someone who is guaranteed to get you a great opportunity? When you are looking to change roles, it can be really tempting to simply hit send and send your CV to all the specialist recruiters in your area and sit back and wait for them to get in touch. However, I would advise you to spend some time looking for the right recruiter who you can trust and develop a long term rapport with. And I would certainly fire anyone who doesn’t do any of the following. It is a sad but true fact that some recruiters don’t seek your permission before sending your CV to prospective clients. Some will send it to a business they don’t have a relationship with, gauge their interest first and then come back to you. This just means it can become complicated if the recruiter they have a partnership with later tries to introduce you. Don’t work with people who use your CV as a marketing tool without having the decency to tell you what they are doing. Trust is the keystone in a relationship between recruiter and jobseeker. We give you CLARITY on the sales or management role you are applying for, the selection criteria, the interview process with associated timescales and an indication of your suitability. We will give you feedback on how your sales or management skills experience and personal attributes are coming across in an interview situation to help you prepare for the first client we introduce you to. You can absolutely trust us that all our liaisons are in total confidence and treated with the utmost DISCRETION. Your job history is only a small part of the recruitment process. Recruiters should be looking for long term roles for you, opportunities that meet your short and long term expectations. Anyone who doesn’t show an interest in what you are looking for longer term and what motivates you is simply looking for a quick fix and could leave you in a position where you are job hunting again in a few months. Remember being a teenager waiting for that special someone to give you a call. In later life that can become the relationship between recruiter and candidate. Like your mum would have told you, if they don’t call you back or call when they say they will – then it is time to give them a wave goodbye. Everyone deserves decent communication. We promise to deliver effective COMMUNICATION with you when we say we will. Once shortlisted you can expect open dialogue with calls made to you precisely when promised. We offer as much INFORMATION as possible as to what you can expect at each stage of the interview process allowing you the very best chance of being successful in your chosen sales or management position. Sadly most job seekers have experienced a situation where they have been for an interview, called the recruiter with their feedback and then never heard a dicky bird back. If you don’t get feedback you can’t learn from the experience. Don’t work with any recruiter who isn’t prepared to tell you honestly why you didn’t get to the next stage. We appreciate the need for CLOSURE of an application. If it isn't successful we will tell you what went wrong and why. We offer as much constructive feedback as we can to give you CONFIDENCE for future interviews. We only check references once you've given your notice and accepted a job and most importantly we have your permission to get them. There are many agencies who use reference checking as a lead source - I've heard stories of recruiters that have called to get a reference only to find the referee wasn't aware they were leaving! You can trust us that this won't happen with us! A good recruiter can tell you things about the job and company that you can't find out on the job description. We make sure we find out what it is like to work at a company, what the team and managers are like, what are the best bits about working for the company, what are the challenges? The best recruiters know their stuff and have built up a good relationship with their client - next time you speak to a recruiter - try asking them if they have placed candidates with this company before? It sounds old fashioned, but trade press still has good contacts. Look at the niche publications in your sector and see who is recruiting in your field and get in touch with a specialist. Obviously you would expect to send a CV, however, in sales, I am always pleased when a prospective candidate picks up the phone and introduces themselves first. If you call, you can try and establish the type of recruiter they are and ensure they are the type of recruiter highlighted above. Plus you can get an idea on the types of businesses they partner with, and clarify their understanding of the market you work within. Sourcing the right recruiter can take time. But once you have got it right, you have probably got a recruiter for life. You need to ensure you have absolute trust in them and they understand your aspirations and needs. They need to talk to you, give feedback and keep you in the picture at every stage of the process. Start as you mean to go on, find a recruiter who is ethical, right for you and gives you the time needed to understand what you are looking for in your next role. If you do get it wrong, ensure you channel your inner Alan Sugar quickly, fire them, and move on. We make some bold claims about how we deal with our candidates, have a look at our Candidate Promise here.